The tutorial contains one folder called lib with five PHP files. Click here to launch Microsoft live development dashboard and click create application link. Microsoft will provide you Client ID and Client secret. 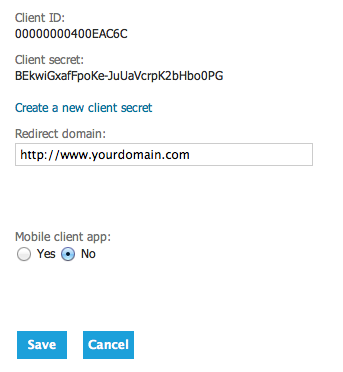 Give valid redirect callback URL. You have to modify client_id and client_secret values. 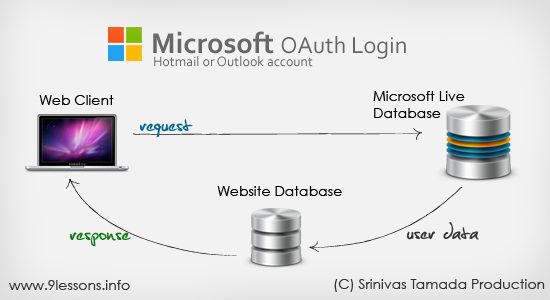 Contains PHP code inserting Microsoft OAuth session details into users table. I am reading this for first time to have login with microsoft id, In this era when everywhere on web we can see login with Google or FB and adding microsoft/outlook will definitely enhance login experience of users. Thanks for this lovely code. Its really amazing. i liked your post. Nice one !! Can you please give me the link to the twitter OAuth ?! Why Microsoft Live, this is rather Windows Live isn't? what content product software and all i want and how to create this with them. what can I add to home.php to get the user's contacts as well? Interesting post, I found some new information. Thanks! Good Tutorial, MS Login functionality is very secure also. Wow what a post bro! Could you send me the error. Can you please tell me the name of the diagram drawing tool you did above? I just logged in with a account with both gender and birthday set, but they returned null. Same with a php script I got from another tutorial. 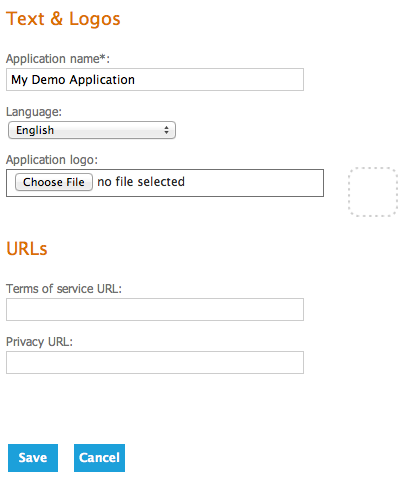 You shoud login Application Management page (https://account.live.com/developers/applications) and edit Redirect URL that is equal with $client->redirect_uri (in your source code). It worked fine for me. Hope this will help you! Nice post, i have got lots of information from here. Thanks. It worked for me. great post.